There are various methods on storing opened bottles of wine, using a bottle stopper / vacuum pump is the most popular method. Vacuum pumps and stoppers aren't that expensive and means you can enjoy your favourite wine a day after you've opening it. We recommend that you don't leave a wine open for more than 3 /4 days. What do you do with your bottle of wine after only having a glass? This is often the case, you have one or two glasses of wine then the rest of the bottle is left. Therefore we have produced this guide to help you know the best way to keep your wine after it has been opened. You will never waste a single drop again! 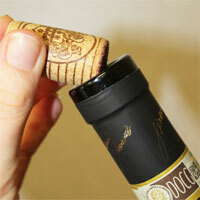 Here are a few simple ways to extend the quality of the wine. Forget the days when you would simply refer to an opened bottle of wine as ‘cooking wine’. This is the method that first springs to mind for most people, however it is probably the least effective way to preserve wine. It can be a good way to preserve white and rosé wines however it is not the best solution for your wine. This preservation method includes sealers and a pump. The sealer features a coloured indicator to let you know whether or not your opened bottle of wine is protected from the air. 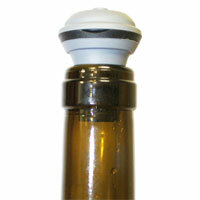 This innovative product is a plastic disc that floats on any opened wine bottle (750ml). The thin plastic disc creates a barrier to oxidation and preserves the wine for up to 5 days from opening. 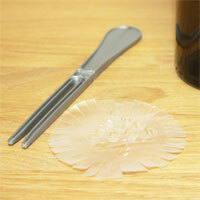 See our fantastic selection of wine preservation products on offer. If you have forgotten to preserve your opened bottle of wine then put the wine to good use! There is no need to waste a good wine. Use the wine in your cooking or if it has turned to vinegar, use it as a delicious salad dressing. Another alternative is to freeze leftover wine in ice-cubes trays and keep for cooking. A top tip we have learnt is to write the date of opening on the wine bottle label so you can keep track of the number of days passed. With all the preservation methods mentioned you still need to make sure the wine bottle is kept out of the light and stored in the fridge. Wine should also be kept separated from odours which could taint the wine. If you require further information on wine preservation methods please contact us, we are more than happy to help. How long before wine goes bad? This is a question which many wine lovers and enthusiasts want to know the answer to! As a general rule of thumb (this does not apply to all wines) white wines hold well for 1/2 days whereas red wines will last for up to 2/3, possibly four days. This refers to opened wine bottles that are recorked. Preservation methods will normally help preserve wine for slightly longer than this! It is important to note that wine once opened cannot be kept for weeks or months, it should be consumed within a few days of opening. Store your red wine bottles upright, storing wine on its side means the surface area exposed to oxygen is increased. 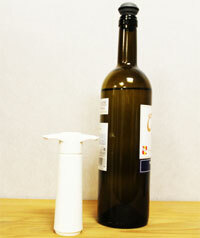 Avoid storing red wine in the light especially direct sunlight. Sun exposure can cause discolouration and flavour damage to the wine. Store open red wines in the fridge however remember unopened red wine should never be chilled too much. Which red wines deteriorate after opening? One of the most sensitive red wines to oxidise is Pinot Noir, so remember this the next time you open a bottle of this type of wine! Older wines which are over 8-10 years will generally deteriorate quicker because of their components and tannin levels, so if you opt for a vintage red wine make sure you have enough willing people to help finish the bottle (this shouldn’t be a problem). Organic wine is generally regarded as more fragile than other red wines and will lose quality quickly. Light coloured red wines, such as Zinfandel, Grenache, Beaujolais and most rosés lose their flavour and aromas once opened, so please bear this in mind when choosing a light coloured red wine. We have a ‘Wine Storage Temperature Guide’ so you know what the optimum storage temperature is for your favourite bottles of wine! If you want advice or information on wine preservation methods that we offer then please feel free to contact us at any time.